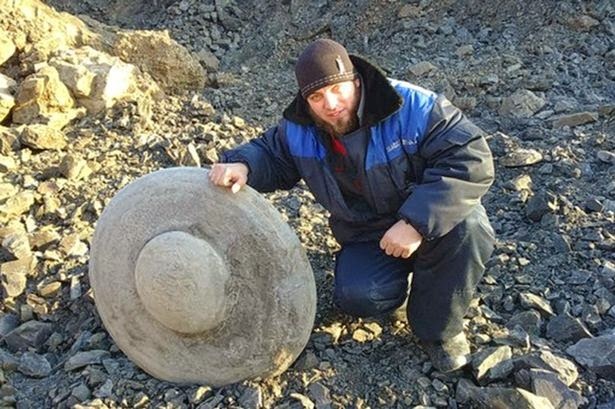 UFO SIGHTINGS DAILY: Ancient Drone Found 40 meters Below Ground, Siberia Feb 2015, UFO Sighting News. 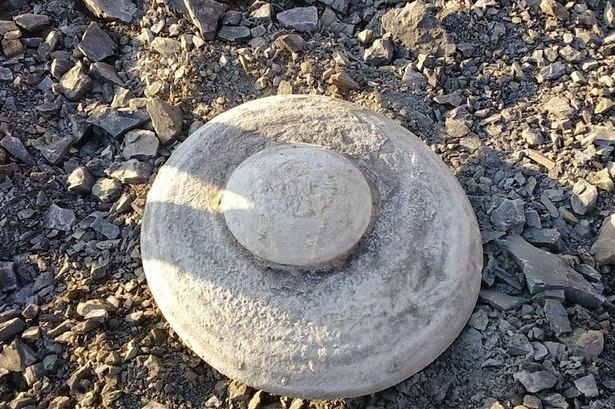 Ancient Drone Found 40 meters Below Ground, Siberia Feb 2015, UFO Sighting News. Do these intriguing images show a UFO that fell to Planet Earth from outer space thousands of years ago, embedding itself deep in the ground? 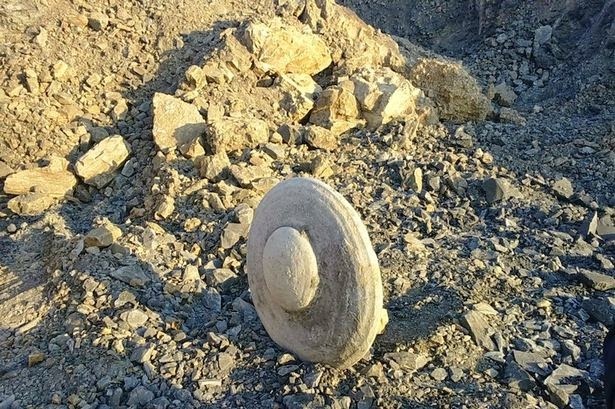 The bizarre flying saucer-shaped object was dug up during excavation work by a coal mining company in Siberia's Kuznetsk Basin, Russia. Archaeologists, were called in to examine the 'craft', which the excavators believe is a man-made object, describing it as a "mystery". However, sky-watchers are convinced itThe unusual object is almost perfectly circular, with a diameter of around 1.2 meters and weighing roughly 440lbs - that's 31 stone. Excavator Boris Glazkov, 40, who found the object, said: "I have to say it wasn't hard to see as it was really distinctive and large. "I've never seen anything like this object, which is obviously man-made out, here in the middle of nowhere before. It is a real mystery." (more at source).